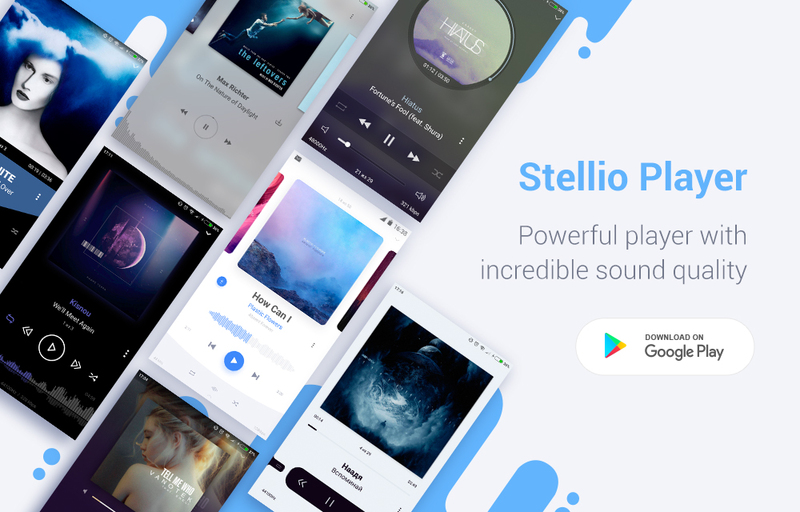 If you like apps that have a distinctive aesthetic — and a good one — but are loaded with features under the hood, then Stellio Player is right up your alley. 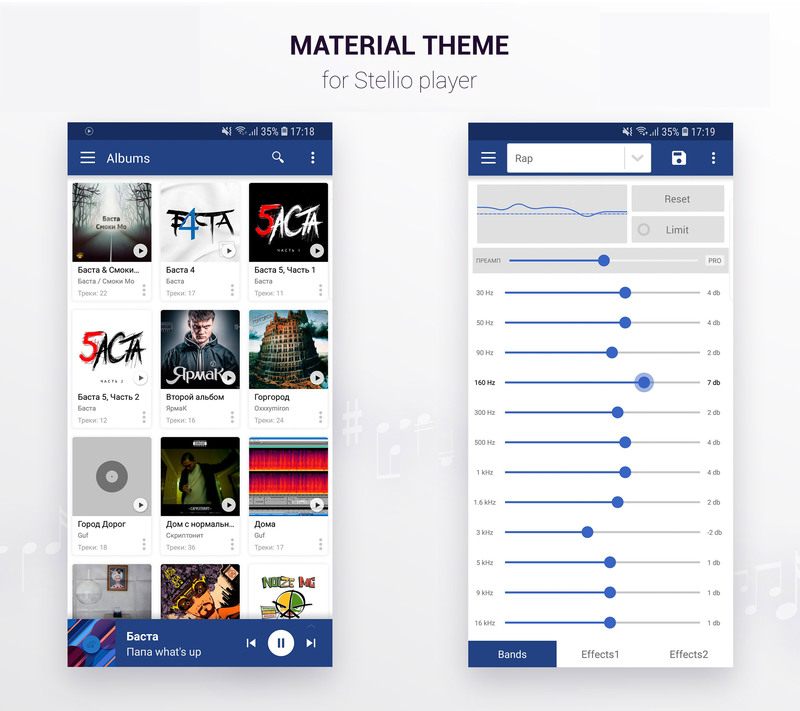 Stellio is a music player that is highly customizable, great looking, and has sophisticated playback and library management capabilities. 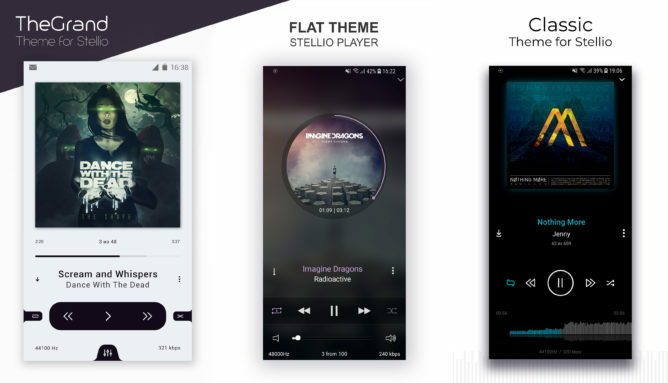 As a music player, Stellio prioritizes audio quality. This means it supports a number of lossless file types, like FLAC, in addition to the many common lossy formats (MP3, M4A, etc.). You also can choose from several equalizer presets or customize your own. Even if you're not an audiophile, Stellio Player has plenty of other features to make your experience better. 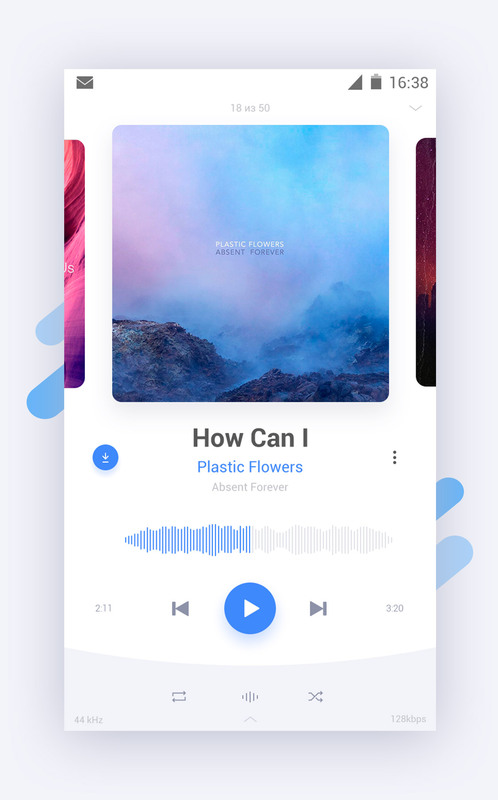 For instance, it can retrieve album covers for your music from the internet and supports organization by tags, genres, and so on. 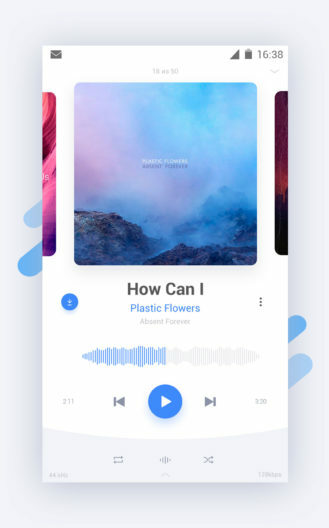 While you listen, the integrated lyrics search helps you sing along (or settle arguments about what the words really were). Both the lyrics and other metadata can be cached so you can continue to enjoy them when you don't have an internet connection. The sleep timer means you can set it and forget it, whether you are going to sleep yourself or just want to leave on some background noise for a while. The default player interface is simple but beautiful with a waveform in place of the traditional progress bar. Of course, there are enough settings and themes available that you can tune the interface to your heart's desire. 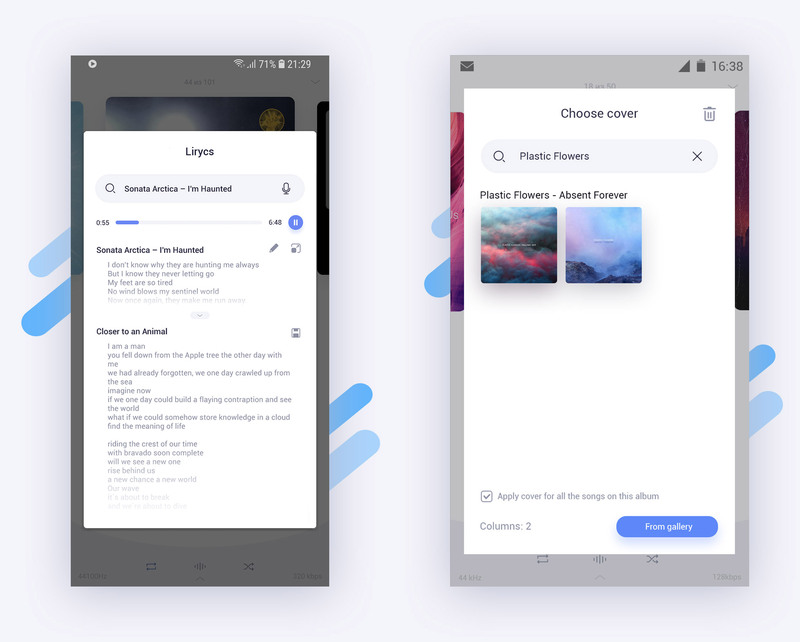 Themes aren't just a fresh coat of paint, but give you the ability to get a totally revamped interface. This extends even to the player notification and widgets, which you can modify in the settings to include the things you need and not the stuff you don't. Stellio Player is free to use with a small number of ads. It is available at the Play Store and can also be sideloaded from Stellio's website. You can upgrade for $2.99 to remove the ads and access some extra themes, but you will find it to be very capable without having to pay a cent.